Bengt Nordström of Nordstream recently shared some interesting interesting thoughts about the roll-out and future revenues from 5G. I am even less optimistic than Bengt regarding 5G as a savior for the carriers for two main reasons. 1. Many of the use cases being discussed for 5G can quite comfortably be handled by Gigabit LTE and especially Low-Latency LTE. This in combination with the inevitable sticker shock of 5G will make carriers want to wring every last bit out of LTE before going all in on 5G. Instead they will start with core upgrades and MIMO etc before taking the full step to 5G NR. So while 5G components will start to go live in networks reasonably soon, it will be a long time before 5G as a full standard, including NR, is as widely deployed as LTE is today. 2. OTT (Over The Top). I have yet to see a compelling reason for why future 5G revenue streams would end up on the wireless carriers income statements. They have not shown that they are nimble enough to incorporate solutions to end user use cases into their business model of providing basic connectivity. I have not gotten the impression that startup incubators at carriers have moved the needle much in that regard. It is therefore much more likely that new 5G revenue streams will be gobbled up by OTT players. Implementation of Gigabit and Low-Latency LTE and 5G NR removes the last barrier to the possibility of an all-OTT future. If the networks can deliver the performance now being promised, what services could not be run OTT then? That said, the future is not all dark for the carriers. Especially in the US market there are several low-hanging possibilities to revenue growth. The SMB and enterprise markets are under served and especially Sprint and T-Mobile have every incentive to more aggressively promote an all-mobile and cloud PBX future for SMB and enterprises. There is still some, but not a lot of, time for the US carriers to avoid RingCentral and Twilio becoming the WhatsApp equivalents for enterprise OTT services. To avoid that, they must move quickly and aggressively to promote the benefits of a fixed to wireless transition, with the accompanying services, to business customers. Over the past days compromising photos of celebrities have been posted on the Internet. 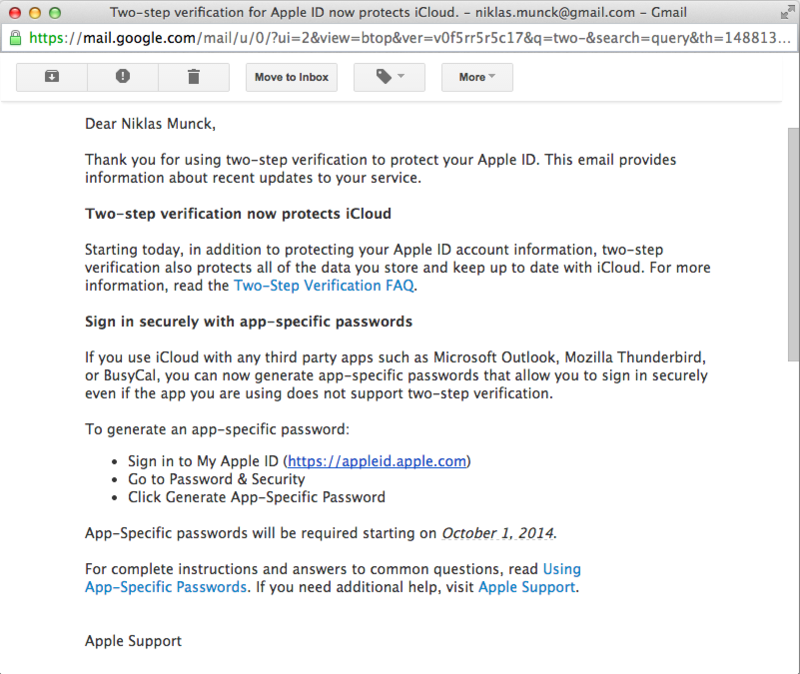 While it is still unclear if any of these photos were stolen from iCloud accounts and even less certain if the users had in fact activated the Apple ID two-step verification solution, it is still worth mentioning the inherent weakness in the two-step verification solution for Apple ID. It does not protect your content.